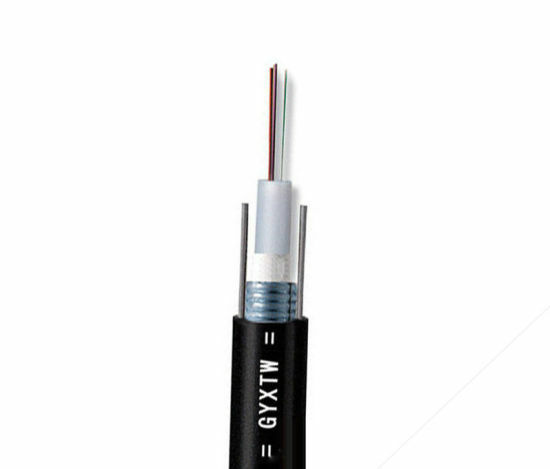 Optical Fiber Cable , Patch Card , Optical Accessories. 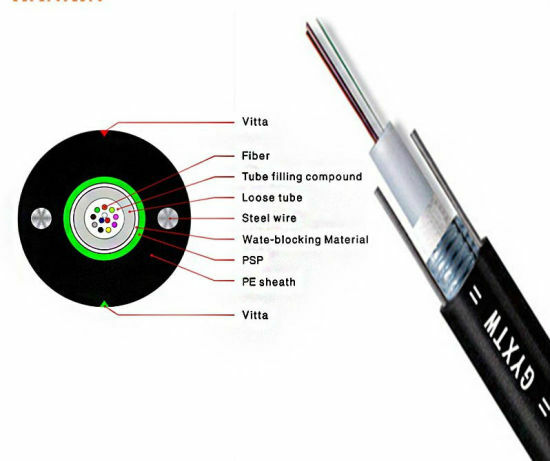 Fiber Optic Cable, Fiber Optical Cable, Outdoor Cable manufacturer / supplier in China, offering 12/24 Core Single/Multi Mold Outdoor Armoured Aerial Fiber Optic/Optical Cable (GYXTW), 1core signal Mold G657A1 G657A2 Outdoor FTTH Fiber Optic Drop Cable, 1/2core Outdoor Optic Fiber FTTH Drop Cable and so on. 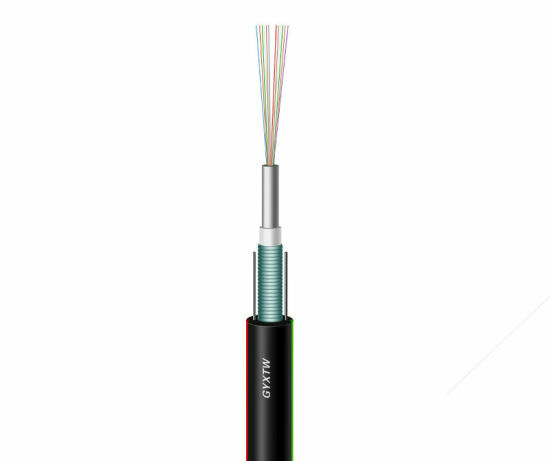 The fibers,200/250um, are positioned in a loose tube made of a high modulus plastic.The tubes are filled with a water-resistant filling compound. 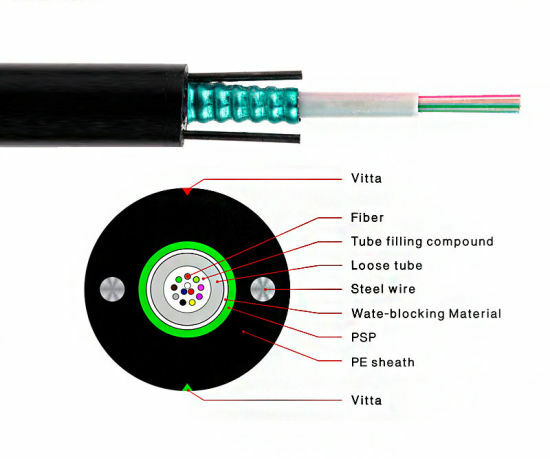 The tube is wrapped with a layer of PSP longitudinally. 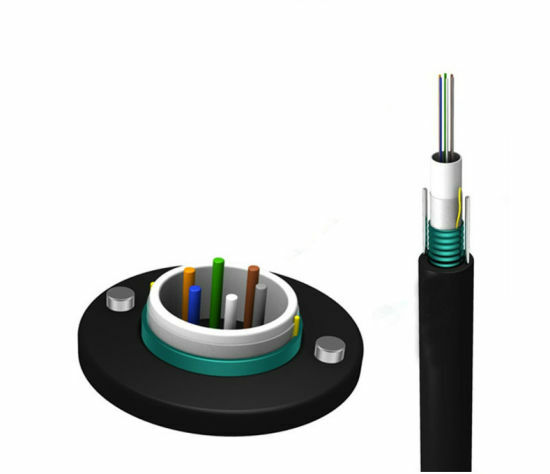 Between the PSP and the loose tube water-blocking material is applied to keep the cable compact and watertight. Two parallel steel wires are placed at the two sides of the steel tape. 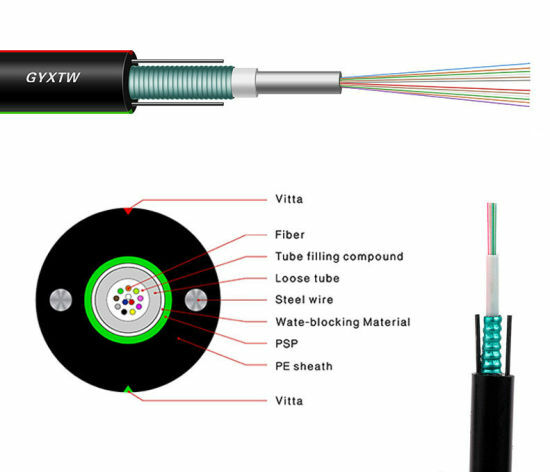 The cable is completed with a polyethylene (PE)sheath.